Haymarket Books (May 2019). World audio rights, except UK, only. Paper • ISBN-13:9781608467846 • 133 pgs. The dominant view of the Russian Revolution of 1917 is of a movement led by prominent men like Vladimir Lenin and Leon Trotsky. Despite the demonstrations of female workers for ‘bread and herrings’, which sparked the February Revolution, in most historical accounts of this momentous period, women are too often relegated to the footnotes. Judy Cox argues that women were essential to the success of the revolution and to the development of the Bolshevik Party. 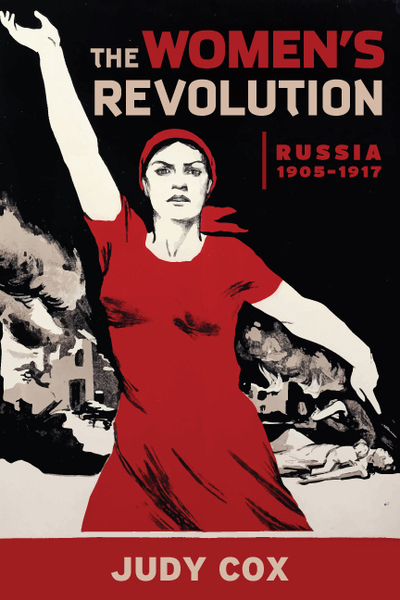 With biographical sketches of famous female revolutionaries like Alexandra Kollontai and less well-known figures like Elena Stasova and Larissa Reisner, The Women’s Revolution tells the inspiring story of how Russian women threw off centuries of oppression to strike, organize, liberate themselves and ultimately try to build a new world based on equality and freedom for all.